With pink Rod Gloves, pink fishing nets, Pink Fishing hats and hot pink tournament jerseys, Carolyn Nichols certainly stands above the crowd at a fishing tournament. Carolyn has been tournament fishing since 2004 and prefers to fish alongside her husband Dewey. They are both very active in the community and participate in various different fishing tournaments together as a team. Despite both of them having full time careers, they spend all of their free time on the water preparing for the next tournament. With their faith rooted firmly in God, they participate in fishing tournaments through their church and fellow clubs. 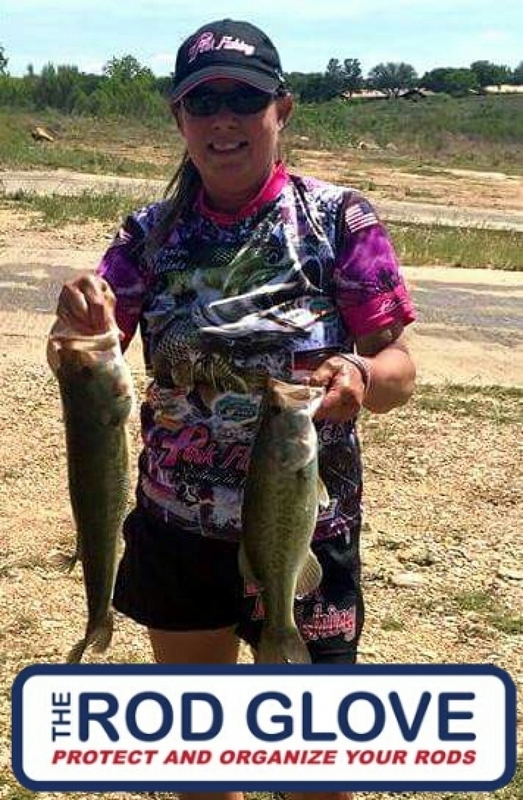 Carolyn believes in giving back to those less fortunate and is actively involved not only with Pink Fishing but she is also a captain with C.A.S.T. -Catch a Special Thrill which is a non-profit organization to support disabled and disadvantaged children that enjoy fishing. This year Carolyn chose a special girl in a wheelchair to partner with her for a day of fishing. She noticed that the young girl had two pink fishing rods and that her Mom had ribbon earrings on. It turned out that the Mom is a breast cancer survivor and the young girl Shelby had a great day on the water with Carolyn, whom at the end of the day, gave away her pink Rod Gloves to the special Mother/ Daughter pair. Carolyn is a registered nurse and respiratory therapist, and has been involved with all forms of cancer. She claims it shows no discrimination and that she has seen the devastation that it can bring. She came across Pink Fishing once day on the internet and went to the website for more information. She contacted the owner Delton and Tracey Chaney and soon became part of the team. Since 2013, the team has grown to 186 members across the USA and Canada. Pink Fishing has dedicated themselves to promoting awareness of breast cancer and empowering women with tools for early detection. Through Pink Fishing we have a signed contract with the National Breast Cancer Foundation for a minimum of $10,000.00 each year. We truly are “Reeling in the Cure, one shirt or hat at a time”. Carolyn's aspiration is to share her experience, knowledge and the love of the outdoors with others. She lives her dream by helping others whether it is a class that she teaches for kids and adults or as being a Captain with Cast for Kids. Carolyn's advice to other anglers, is always remember, ability is what you are capable of doing, motivation determines what you do and attitude determines how well you do it. Stay with your professional ethics at all times; your associations are some of the most powerful factors in determining who you become and what you accomplish in your life.